Labrador 36-in Bathroom Vanity + Acrylic Countertop with pre-drilled single hole. Faucet Sold Separately. 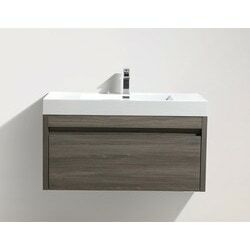 35.40" x 18.75" x 23.75"
The Labrador vanity features an elegant 2-mm wood embossed textured melamine finish over a high quality particleboard construction. It's simple, minimalistic look is sure to modernize and liven up any bathroom design, whether dark, light or in between, and contrasts beautifully with any ceramic tiling style. The original Golden Elite floating vanity, Labrador takes a bold step ahead when it comes to design. 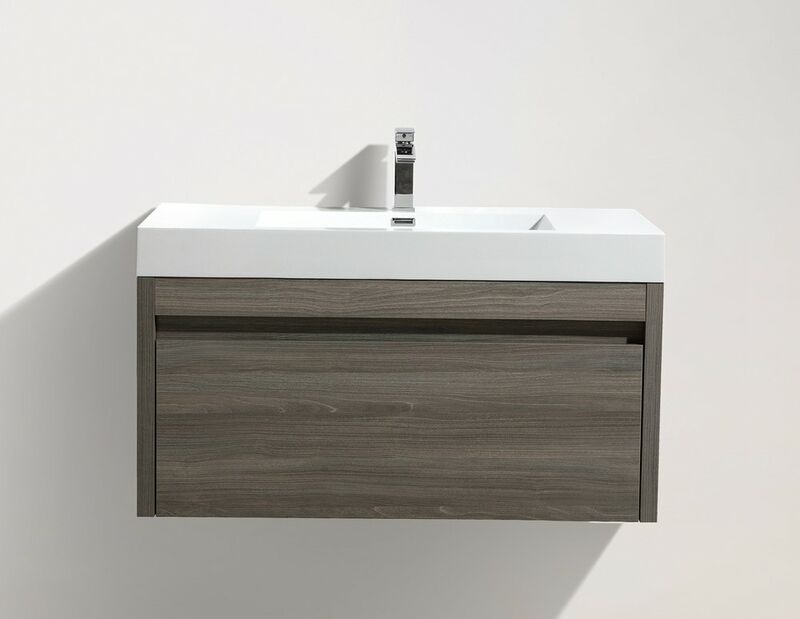 Demonstrating craftsmanship excellence, this vanity features two to four flush soft closing "smart" drawers, made specifically to accommodate plumbing while still giving you the most amount of storage space out of your vanity. No assembly required: Simply glue-down the counter-top. Everything else comes assembled.